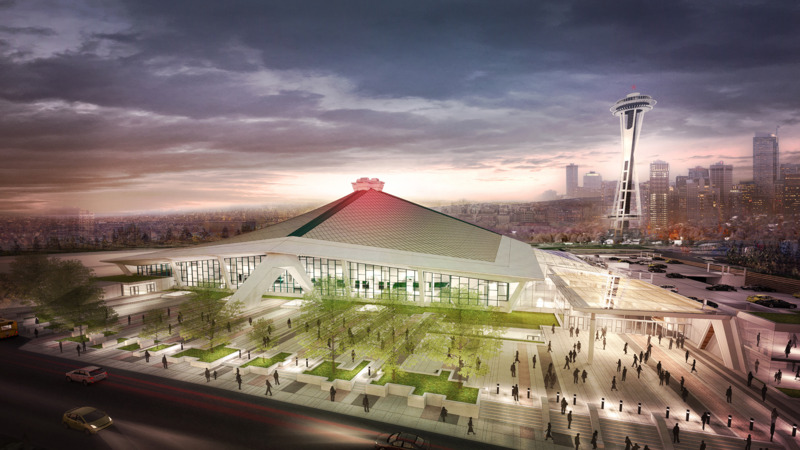 Word recently came in via our friends at Skate Like a Girl that not-even-ten-years-old-yet Seaskate #4 will be demolished as part of the future Key Arena upgrades by the Oak View Group (OVG). In addition, the Skate Like a Girl headquarters office in the Blue Spruce building adjacent to Seaskate will also be demolished. Why you ask? Well…in order to build a parking lot of course! The Seattle Center told SLAG in a surprise meeting that Seaskate will not be relocated at the Seattle Center. 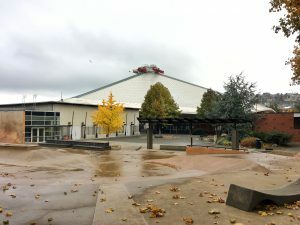 They have offered SLAG an office on the Seattle Center campus, but the exact location or details have not been confirmed. The City of Seattle and the OVG are currently negotiating the terms of the Key Arena upgrades in a document called a Memorandum of Understanding (Agreement) that must be finalized by December 5th and is well on it’s way to meet that deadline. Seattle-area skatepark advocates have reviewed the draft agreement and identified only a single clause regarding the Seaskate replacement. This clause identifies a $1.5M total replacement budget for Seaskate, a maintenance facility for Seattle Center maintenance staff, and “other public amenities” impacted by the renovations. As we know from previous experience, this amount is wholly inadequate (The current incarnation of SeaSk8 cost over $3m). We also know that without a designated site for the replacement park, skateboarders are at risk of being marginalized once again to the outskirts of town and losing the only skatepark in Seattle’s urban core, not to mention the potential years of downtime that can straight up destroy a skatepark’s community. In case you need a refresher course on what’s gone on with the last few versions of the Seattle Center skatepark, you can find some history here, here, and on this very website here. But this is just the last 10 years of history. This skatepark has been rebuilt FOUR TIMES, and there is a whole other generation of skaters and advocates that carried the torch for the first 10 years of it’s 20 year legacy. There will also be a meeting at 10:30am on November 16th at City Council chambers, where you can let your voice be heard and speak directly to the Committee on Civic Arenas who have the power to amend the MOU to include the right provisions. Demand that your city government protect skateboarders from being bulldozed by Tim Liewicki, Live Nation, and all the other big business interests that want to convert your public spaces into places they can charge you a premium to access! UPDATE: This post originally stated that the group of musicians who sent a letter to the city were supporting the OVG plan, but they got back to me and they and clarified that in fact they were supporting Chris Hansen’s plan that does not impact the skatepark. This entry was posted on Wednesday, November 8th, 2017 at 4:12 pm and is filed under Call to Action, SeaSk8.You can follow any responses to this entry through the RSS 2.0 feed.You can leave a response, or trackback from your own site. Macklemore (and others) actually signed a letter supporting a different Key Arena renovation proposal that isn’t detailed enough to show what would happen to the skatepark if it were to happen. He did not sign an a letter supporting a plan that included tearing down the park. And, the Seattle Center did not inform Skate like a girl of the project in a “surprise” meeting. It was a meeting intended to keep them informed. Nothing “surprise” or underhanded about it. Hi Ellen. I appreciate your feedback. I can’t speak for SLAG but it sounds like they were caught off-guard by the content of the meeting. In fact it was represented to be about something else entirely. No one from the skateboarding community that has worked with the Seattle Center over the last four iterations of the skatepark were notified of any of this, which is unfortunate, especially since it was revealed later that the Seattle Center staff took the liberty of meeting with the Parks Department without including any skateboarders or SLAG representatives. I’m happy to assume the best intentions from everyone but I’d prefer to not have my intelligence insulted by suggestions that I am somehow misreading the clear indications that this has not been an entirely transparent process when it comes to informing the skate community. Your point seems to suggest that due to the intentions of the Seattle Center, it was not a surprise. I’m sure it was not a surprise to them. You are right about that. But it was a surprise to the skate community. A surprise delivered at a time when the process had evolved to the point where we were told that changing the language in the MOU was going to be nearly impossible. You can call it what you want, but I stand by my characterization. Although to say I am surprised that we are once again dealing with a skatepark demolition at Seattle Center would be grossly incorrect. Regarding your point about the letter: it turns out the letter was in support of Chris Hansen’s plan, which would not impact the skatepark, and not the OVG plan which does. I have updated my post to reflect that. Again…all we want is transparency, adequate funds for a replacement, on a reasonable timeline, in a site that meets the criteria put forth by the Citywide Skatepark plan and is located in such a way that the existing skatepark’s community can access it easily and before the existing park is destroyed. If we can get past these issues, it would be great to have your support. Thanks again for your feedback.